3 piece set for baby girl. Hoodie with pants in a comfortable cotton and a white camisole with pink detail. 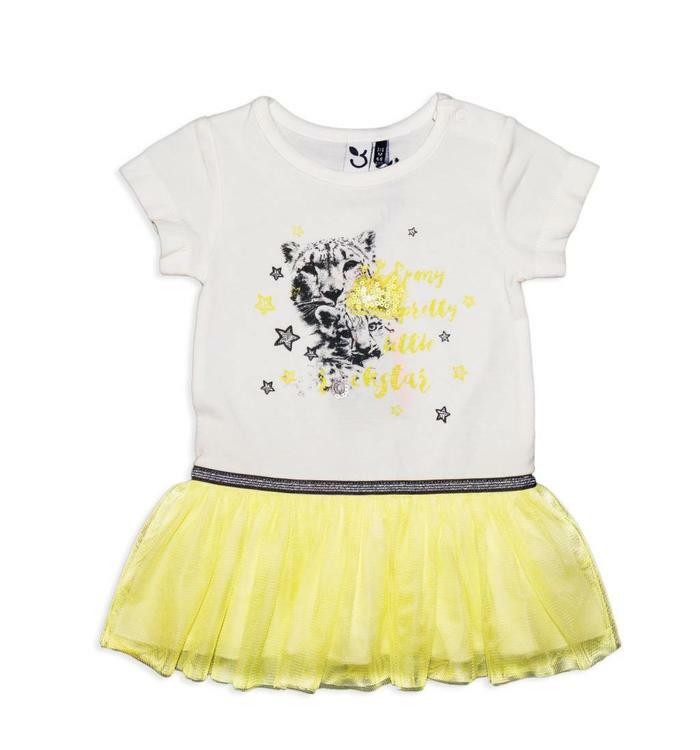 2 piece set for baby girl. White and pink cotton t-shirt with detail and a stretch jean skirt with elastic waist band. 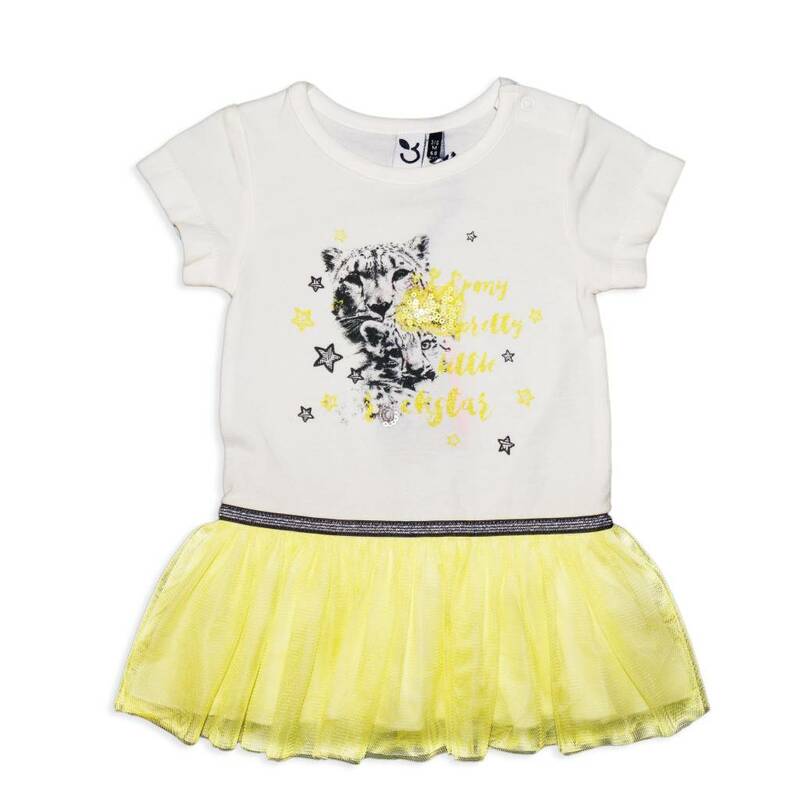 Printed short sleeve white and yellow cotton dress with a yellow tulle skirt.